My fiance makes fun of me for my love of old things. It’s true. I do like old things. I like history. I like reading Jane Austen and historical biographies. I’m obsessed with Downton Abbey (and you should be, too!). The acequia ran right under our front doorstep. 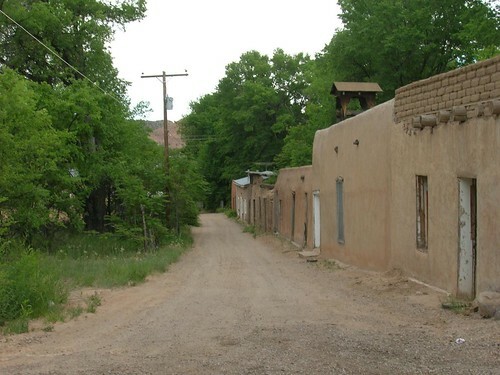 This plaza is one of the oldest such structures still standing in North America–seriously! 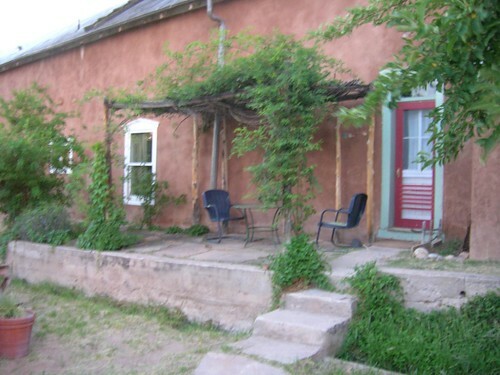 The original post office for Chimayo was right next door to our bedroom. I love feeling like I’m a part of history, that I’m walking where people walked hundreds of years before me, touching something they touched, feeling what they felt. Most of us are disconnected from our past and from our ancestors. It’s a commitment to our past and to the future to try to keep our history alive. Do you like old things? What connections do you have with the past? I love old things. I would LOVE to own an Iron Age Pictish torc one day, but since those things are pretty much priceless, I doubt it’s possible. I studied history because of its connection to people, and I still love old places and connections to history. I like old things, but maybe they’re more like things from the Old World–Viking ships and ancient ruins and swords and stuff. I love old things, too. Old books, vintage dresses and jewelry, old works of art. The connection to places and people of the past is what intrigues me. I wanted to be an archaeologist for a long time but was encouraged to do something else by the time I got to high school. The fascination with cultures of the past hasn’t waned, though. Your comment “touching something they touched” really struck a chord because whenever I can I will often run my hand over an old wall or door and feel very connected in some way. I enjoyed your post. Old is good, tried and true or will be again. I had a collectibles store once. (Couldn’t call it antique store-items were not 100 years old–wouldn’t have wanted to anyway). Loved the hunt for things to fill it. Loved when someone came in and had to have something I thought was unique. Old is not necessarily valuable, just unique and re-loved when you buy it.